Computerized maintenance management systems (CMMSs) are used by companies, such as manufacturers, that need to manage assets and equipment, as well as some service providers. Since assets represent an important investment for any company, CMMS can help by optimizing asset use and productivity. This type of software can cover multiple stages of the asset lifecycle, from acquisition to disposition. CMMS is used by technicians to maintain assets in optimal condition, and by managers to make educated decisions on how to improve asset utilization. A CMMS best serves small businesses and should not be confused with EAM and EAM software, which delivers advanced asset management features for large companies and complex industries such as oil and gas, mining, or construction. CMMS solutions integrate with accounting software solutions to manage the financial value and the depreciation of the assets. CMMS reviews by real, verified users. Find unbiased ratings on user satisfaction, features, and price based on the most reviews available anywhere. Maintenance management software, made easy UpKeep is the #1 group collaboration and maintenance application for facility management teams. Hippo is a powerful user - friendly maintenance management software solution for companies in a variety of industries; healthcare, manufacturing, education, hotels and resorts, municipalities and more. We have been providing user friendly and economical solutions since 2004. We now have more than 1,000 businesses actively using our software to streamline maintenance operations. Hippo CMMS comes equipped with all the key feature required to manage preventive maintenance, repairs, equipment, inventory and more. Our ease of use and customer support are what separates us from other CMMS options. Oh, we also offer unlimited users and lifetime technical support so you can expect a substantial and fast ROI. Dude Solutions' Asset Essentials is a cloud-based maintenance management solution developed to support asset-centric operations. With our software, users can improve their processes where they live, work and play with streamlined workflows and advanced maintenance. Key functionality supports operations teams across departments with enhanced real-time visibility into work orders. Improve labor operations, manage inventory and extend the life of your assets – all in an agile, user-friendly CMMS solution. Maintenance Connection is a provider of Enterprise Web-based Maintenance Management Software and is the technology leader of Web-based CMMS Software, EAM Software, and MRO Software solutions for organizations worldwide. Features of Maintenance Connection include Work Order Tracking, Preventive Maintenance, Asset Management, Asset Tracking, Built-in Maintenance Procedure Libraries, Inventory Tracking, Purchasing, Maintenance Scheduling, Service Requests, and a comprehensive Report Writer. 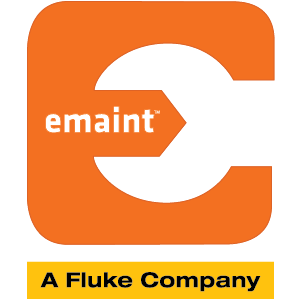 eMaint, a Fluke company, is a global Computerized Maintenance Management Software (CMMS) solutions company that has helped more than 50,000 users better manage, monitor, and control maintenance operations, resources, equipment and compliance since 1986. This on-demand solution can be accessed across multiple locations in multiple languages from any browser-based device. eMaint’s CMMS solution encompasses functionality for managing work orders and work requests, preventive maintenance, purchasing and inventory control, planning and scheduling, asset history, cost tracking, condition monitoring, document storage and robust reporting in one user-friendly and affordable solution. The flexible and configurable eMaint CMMS solution enables organizations to see only the data they want by saving filters, customizing their views with a drag-and-drop interface, tracking priority items, and utilizing multilingual voice command functionality. This on-demand solution can be accessed across multiple locations in multiple languages from any browser-based device. ServiceChannel provides facilities managers with a single platform to source, procure, manage, and pay for repair and maintenance services from commercial contractors across their enterprise. By delivering unprecedented transparency and data-driven analytics of service quality, across all trades, locations, and contractors, facilities managers drive significant brand equity and ROI for their organizations without outsourcing or investing in new infrastructure. ServiceChannel Service Automation is an integrated suite of web- and mobile-based solutions to help manage the entire process of facilities management, including finding contractors and suppliers, entering all planned and demand service requests, tracking work orders, and processing payments. There are currently two different packages to meet your business' needs: Service Automation Essentials and Service Automation Professional. More than 500 leading global brands use ServiceChannel daily to conduct business with 50,000+ contractors at more than 300,000 locations in 63 countries. These customers use ServiceChannel solutions daily to help optimize millions of transactions and billions of dollars of facilities management spend annually. Work Smarter & Faster with the World's 1st Online and Offline Paperless Work Order System! The CMMS that reliability experts recommend. MVP Plant was created based on years of CMMS, maintenance, and reliability experience. With ultimate ease of use, manage your work, PMs, parts, equipment, people, and purchasing to increase productivity, reduce downtime, and save time and money. eWorkOrders is a web based CMMS that harnesses the power and convenience of the Internet to allow individuals from different organizations municipalities, real estate owners, property managers, building engineers, tenants, service providers, IT support and vendors to work together in real-time while requesting and delivering services. eWorkOrders makes it easier to manage your available labor and material resources so you can provide better service to your customers. Fiix is cloud maintenance software that organizes, tracks, and schedules your maintenance activities. Faster. Better. For less. Its cloud-based maintenance and asset management software has helped thousands of customers globally establish preventive maintenance strategies. Completely customizable, mobile, and instantly available through the cloud, Fiix is a flexible solution for organizations of all sizes. Find out more at www.fiixsoftware.com. Ready to Actually Like Your CMMS?! Everybody seems to use a CMMS, but nobody likes the one that they use – until NOW! Surveying industry leaders, the common thread about CMMS systems is that they are cumbersome and difficult to use AND they all felt stuck with what they were using. The thought of changing to yet another difficult and cumbersome system was just too painful to even think about… Well, until they saw ours! WORK ORDERS - EASY! Create, track, edit and AUTOMATICALLY communicate work orders. VENDORS SEND IN W/O FOR APPROVAL Create a web-form and let your vendors submit work orders for approval. CHAIN OF COMMAND Create chain for approvals based on type and amount. PREVENTATIVE MAINTENANCE Track in calendar format with drag and drop ability to change dates. CHECKLISTS Create checklists to give you ultimate control and consistency of asset maintenance. ASSET AND MATERIAL INVENTORY TRACKING Time to reorder material? Have the system alert you so you never run out of what you need ever again! Reporting & Analytics You can’t manage what you don’t measure and you can’t control what you can’t measure. Because our software is so easy to use, your staff actually uses it. Now you can have valuable information that you can use. Our one-click reports and comprehensive statistics give you all the data that you need to increase your operational efficiency. ONE CLICK REPORTS, CHARTS AND GRAPHS See the information the way that you need VENDOR INSURANCE AND WARRANTY EXPIRATION Set alerts & notifications and have the system let you know. Best Computerized Maintenance Management CMMS Software Maxpanda CMMS Software is widely used for maintaining a computerized database of information related to the maintenance operation of your company. This information is stored in the cloud and assists maintenance departments of all sizes to perform preventive maintenance tasks more efficiently and effectively through GoMAX mobile apps. Make wiser decisions. We're disrupting CMMS Software with a platform that's simpler and more affordable allowing you to eliminate errors/delays existing with pen & paper. Pressures from the real world are driving computerized maintenance management, work order maintenance management software and enterprise asset management CMMS / EAM software vendors to rethink not only the product itself, but how a service industry can help management achieve lower maintenance costs. The cmms software of today has to be quite consolidated in functionality and feature rich with instant ROI. Managing the work requests efficiently: Maxpanda CMMS Software will enable your designated staff to submit their request directly into the system. Once they do this, they are sent emails regarding the request statuses. With this system, the maintenance manager of your facility will be easily able to respond to inbound calls. Apart from that, Maxpanda CMMS can be used to prioritize the submitted work requests as per their type, SLA, frequency, approval and more. Organized scheduling and planning: Your maintenance department can easily setup automatic schedules for recurring activities. Preventive maintenance procedures are auto-generated, with assigned deadlines for completion per work order. With GoMAX mobile be assured all your Work Orders, PMs, Meters and Tasks are completed on time and viewed in real-time. Analyzing data trends: Maxpanda CMMS software is helpful in analyzing data trends and identifying problem areas such as constant damages, low productivity & rising costs. With a Maxpanda CMMS Software System, a manager can keep better track of equipment breakdowns and costs involved. Manage Inventory, Purchase Orders and RFQ: Facility managers usually have to deal with disorganized undocumented store rooms. They face difficulty while looking for supplies needed to certain assets or situations. Maxpanda CMMS Software helps make the impossible possible. Use Maxpanda to automate your parts reordering with low levels monitored in real-time. ProCalV5 calibration software outpaces the competition with feature rich functionality and options. Scrutinizing quality compliance experts are careful to select solutions that deliver expected beneficial results. RFgen Software enables businesses with flexible, mobile barcoding systems to reduce inventory and warehouse productivity issues and increase accuracy. Enabling you to mobilize critical warehouse and supply chain workflows, your mobile workforce has real-time and on-demand access to enterprise data. RFgen’s app suites easily connect Windows, Android and Apple iOS barcode scanners, tablets, handheld computers, RFID, and more. Extending your back-office ERP systems and databases, including Oracle’s JD Edwards, Oracle E-Business Suite, SAP, Deltek Costpoint, Microsoft Dynamics, allow your team to achieve more on a day-to-day basis. WebCheckout tracks the complete lifecycle for institutional asset of all sorts. The complete lifecycle includes its installation, monitoring, inventorying, scheduling, maintenance, repair and decommissioning. Agility by SSG Insight is an integrated cloud-based computerized maintenance management (CMMS) and facilities management (CAFM) solution that helps maintenance and facility managers to manage their organizations' maintenance operations. The solution offers various applications such as asset management, reactive and preventive maintenance management, work order management, help desk, inventory management and more. It can be tailored to suit businesses across various industry verticals that include manufacturing, health care, wholesale distribution and retail. Users can manage spare inventory levels, purchase orders and suppliers. The pre-set stock levels help users to raise and authorize the purchase orders and control budgets. Agility allows users to allocate resources and personnel to an operation based on workload, availability, skills and training requirements. Agility also offers mobile applications for Android and Windows mobile devices that allow users to access the solution remotely. Services are offered on a monthly subscription basis that includes support via phone, email and other online resources. COGZ EZ focuses on Preventive Maintenance and Work Orders. Supporting features such as Inventory and Purchasing are also included. Concept Evolution is a completely web-based Computer Aided Facilities Management solution, and the next generation of FSI's multi award-winning Concept CAFM range. EcoStruxure Building Operation (formerly known as StruxureWare Building Operation) is building management software that delivers the right information when, where and how you want it. Operations are simplified with drag-and-drop trending, calendar-like schedules and one-click reporting. Fidelity is a web-based Asset and Spend Management solution that automates the full lifecycle of assets and capital expenditure process management with better control, visibility, and analysis. Knova is a full-featured knowledge management software solution for large customer service and support organizations. Limble CMMS is a modern, mobile and easy to use CMMS software package. With MaintSmart work orders may be created by eight different methods. Several of these methods are automatic or semi-automatic and linking work order templates (boiler-plate copies of existing work orders) metered work orders are created automatically. Don't waste time searching through stacks of receipts or paper log books. MotorNotes puts all the information you need at your fingertips for all of your vehicles: work truck, fleet car, commuter, RV, track car, or motorcycle. NEXGEN Asset Management modules allow for short term and long term financial planning, asset comparison, and prioritization based on criticality. Oracle Maintenance Cloud offers an integrated asset management solution that enables efficient and productive plant maintenance operations. Q Ware cloud-based solutions make maintenance management simple for small to mid-sized organizations. A CMMS solution to monitor maintenance activities across various properties, streamline, automate, speed-up tasks, and more. The Sterling Computerized Maintenance Management System (Sterling CMMS) is a powerful system designed exclusively for service related businesses to help you save time and stay organized in managing your information. Tenna is one central asset management platform, for both asset management and maintenance. Our durable RFID and QR tags, and Bluetooth or GPS trackers handle harsh outdoor and keep you informed of status, maintenance, documentation, location, routing and more. Create enterprise-grade mobile applications with a mobile transaction hub, an open application framework, and a flexible architecture. SMART| ADARRS (Automated Disposition and Reporting) is the successor to the SMART|PCART module offering the asset management professional the most complete disposition solution available for both company and government property. AM360 delivers substantial cost savings and process improvement benefits to organizations looking to embrace the principles of true asset management across their enterprise. Assign is a service dispatch software with features, like a smart scheduler which assigns jobs to people in that area, with those skills, on that route already. AMMS (Advanced Maintenance Management System) is a maintenance management system (CMMS/EAM) that gives you control without any database or programming knowledge. You can customize the application using drag-and-drop screen designers and report writers. AMPRO is a CMMS (computerised maintenance management software) application that allows the structuring of your assets (plant, equipment, vehicles etc.) in an organised and logical manner. AndonCloud is a company that helps you save money by minimizing delay between machine's breakdown and maintenance services arrival. Effectively and efficiently manage all data pertaining to equipment, assets, maintenance scheduling, and more. Anytime Assets is a free, cloud-based aviation asset management application available exclusively for e2b calibration customers. Designed for the aviation industry, it’s available anytime and anywhere you have a secure internet connection with built-in reports, inquiries, and alerts. Use asset transactions to checkout equipment to maintenance orders so you know exactly which assets were used to perform maintenance by aircraft tail number. Transactions identify where the asset is located or if it’s in transit to another location. This feature can be used in combination with barcoding or RFID labeling. Anytime Assets uses custom alerts to keep track of calibration due dates. The application sends notifications before the due date and links the user with scheduling calibration service and shipping to labels, to make the process as hassle-free as possible. Alerts can also be used to identify items that have been checked out to a job, but not checked back in. This feature was specifically designed to address FOD concerns faced by FBO and MRO facilities. Certificates of calibration are linked to each piece of equipment, providing easy confirmation on conformance to a quality or FAA inspector. Maintenance or repair documentation can also be attached to the equipment records. Missing tool alerts assist with FOD prevention policies. In API PRO 8 the last years of development and experience have been brought together to create a new improved version of API PRO. The changes in the new version consolidates API PRO as the most effective and flexible EAM solution on the market and improving the support for large international companies. Apriso Maintenance works in close coordination with other DELMIA Apriso applications, allowing you to more effectively manage maintenance to minimize disruptions and maximize uptime within your manufacturing environment. With DELMIA Apriso Maintenance, you can maximize equipment availability by synchronizing production, quality and other activities with maintenance operations to avoid disruptions and better anticipate equipment repairs. AssetAware helps small to mid-market companies deliver faster service, accurate asset reports, and painless audits, all while knowing what you'll spend, how, and when. Computerized maintenance management systems (CMMS) help companies track and manage the fixed assets, tools, and equipment used in their day-to-day operations. CMMS software is usually delivered as a combination of modules for equipment data management, maintenance planning and scheduling, work order management, inventory control, and asset tracking. There are also many point solutions that focus exclusively on one or a few of the features mentioned above. These tools are sold as standalone products, and while they integrate with CMMS, they are not considered to be CMMS software. While the terms CMMS and enterprise asset management (EAM) are often used interchangeably, the two types of software are quite different. As the term implies, EAM focuses on servicing large companies that have more complex maintenance needs. CMMS usually offers features that are geared toward small- and medium-sized companies. Some CMMS products can include more advanced features that can be used by large companies, but the scope of EAM software is generally too complicated for SMBs. Track assets and equipment across multiple locations, allowing companies to identify the location of assets, as well as monitoring where and how those assets are used. Reduce maintenance costs through preventive maintenance, which allows companies to proactively address issues. This helps avoid unnecessary repairs or replacements of fixed assets, which can be very expensive. Optimize the use of assets, which is critical because equipment downtime can cause substantial disruptions in manufacturing or logistics operations. Maintenance — The main benefit of CMMS software is the fact that it helps companies streamline maintenance activities. This is particularly important for complex maintenance operations that need to be managed for multiple assets across multiple locations. Productivity — CMMS software can increase employee productivity by planning and scheduling maintenance activities based on resource availability. Since travel is often required for field maintenance, CMMS can also help reduce the idle time spent by technicians on the road or between jobs. Uptime — Improve uptime and optimize the use of fixed assets. Maintenance activities should reduce equipment downtime, which means that fixed assets can be used to their full potential. Since equipment can be expensive, optimizing its use is critical to achieving a positive return on investment. Maintenance teams — Maintenance departments use CMMS to track fixed assets, monitor their performance, and perform maintenance operations. Maintenance managers use CMMS to plan and schedule maintenance activities, generate and assign work orders, and track the performance of their technicians. Field technicians — Field service technicians use CMMS to plan their schedules, identify which type of maintenance is required for different types of equipment, and access technical specifications of the fixed assets they are responsible for. Mobile CMMS is particularly important for field service employees who need to be able to communicate with their managers and customers, as well as send regular updates about the status of their work. Core CMMS — Core CMMS software includes features for maintenance, asset tracking, and work order management. It is usually delivered as a single standalone package. Advanced CMMS — Advanced CMMS delivers additional functionality such as purchasing, billing, and labor management. These features are provided as add-ons or separate modules that can be used together with the core CMMS software. Asset tracking — Asset tracking uses technology like barcodes, RFID, or GPS to monitor the physical locations of multiple assets, which are often distributed across various physical locations. This type of functionality also helps companies define different kinds of assets and the relationships between them. Furthermore, asset tracking maintains a history of all operations, such as maintenance and repairs, to identify potential issues. Work orders — Work order management defines what needs to be done, by whom, and how. Work orders can be created based on the type of activity (such as repairs or calibration needs), the locations of equipment, or the service level agreements specified in contracts. Inventory — Inventory refers to both the equipment and the spare parts required for equipment maintenance. Inventory management is essential for technicians and managers to accurately define which spare parts can be used for which type of asset and to maintain an inventory level that can help maintenance teams address emergencies. Maintenance — Maintenance features are at the core of all CMMS software products. There are two types of maintenance: preventive (or scheduled), which aims to prevent issues before they happen, and corrective, which occurs when assets malfunction and need to be repaired. Predictive maintenance is an advanced methodology that uses sensor data and information provided by complex equipment to predict potential issues without human intervention. Warranties — Warranties help maintenance managers identify the operations required for various categories of assets, which may also vary by customer or contract. Warranty management functionality maintains the information on service contracts for fixed assets. Warranties and contracts also include service level agreements that maintenance teams need to comply with. Cloud — While most vendors are adopting the cloud delivery model, many CMMS products are still delivered on premises. However, some vendors do offer both a cloud and an on-premises version. It is expected that in the near future most CMMS products will be available as a software-as-a-service model. 3D printing — 3D printing allows companies to print spare parts instead of buying them from suppliers. This type of technology isn’t yet mainstream across the entire maintenance industry, mostly due to the cost of 3D printers and the materials required for printing. 3D printing can help companies save money and time, which is why its adoption is expected to increase. Internet of things (IoT) — IoT is another technology trend that is already impacting maintenance operations. As more and more devices and equipment are connected through the internet, preventive maintenance is becoming more important but also more difficult. Entire networks of connected devices can be disrupted when a component isn’t functioning properly. Also, it is difficult to identify which one of the hundreds or thousands of devices connected together should be repaired or replaced. Automation — The increasing automation of industries like manufacturing and logistics will require companies and vendors to come up with new ways to maintain sophisticated tools like robots. Since some robots are capable of maintaining themselves, some CMMS features may become obsolete, because their asset maintenance and upkeep functionality become redundant. For instance, some robots can recharge their batteries without human intervention, which also means that software isn’t needed to monitor energy consumption. At the same time, advanced features like predictive maintenance will become more critical to address issues that robots cannot identify, such as environmental conditions. Functionality — Functionality can become a challenge for large companies that require more advanced features than a normal CMMS can provide. While some CMMS products include functionality suitable for enterprises, EAM systems are usually a better option for complex asset management requirements. On the other hand, small companies may be overwhelmed by the features offered by CMMS systems and the complexity of this type of software. It is therefore preferable that small companies with basic asset management needs adopt point solutions, like asset tracking or calibration software, that are more focused in scope. Integration — Seamless integration with third-party solutions like ERP systems and accounting software is critical when tracking the costs of fixed assets. While new technologies like the cloud make it easier for CMMS vendors to integrate with other solutions, tracking asset depreciation in multiple systems can still be a challenge, because the data needs to be consolidated and deduplicated to be accurate. Data accuracy — Effective asset data capture and management can become an issue when equipment information isn’t up to date. If maintenance professionals do not have accurate details on fixed assets, such outdated or duplicated information makes it harder for managers to track assets and their status, which can also disrupt maintenance operations. EAM — EAM software can overlap in functionality with CMMS but can also complement it. EAM and CMMS can be used together by companies that must manage multiple locations. For example, a manufacturer may use EAM to manage the fixed assets at its manufacturing facility and CMMS to manage the equipment at its repair shops. MRO — Aviation MRO software focuses exclusively on aviation maintenance. CMMS software does not provide advanced functionality to manage aircraft maintenance, which is why some vendors have developed MRO software to take advantage of such a large industry. Asset leasing — Asset leasing software automates the process of finding and processing leasing options to acquire assets. This type of software can be used by asset leasing companies and by businesses who need to lease equipment. Field service management — Field service management software can help technicians and managers schedule and track work orders that require travelling to customers’ sites. CMMS can also provide field technicians with the technical specifications and work instructions required for different types of assets. Services— Used asset marketplaces are used by companies who prefer to acquire equipment at lower prices. This service can also help companies sell old equipment instead of disposing of it. Disposition usually means that the value of the asset is considered a loss for the company, while selling it allows businesses to recover a part of their investment. Fixed asset rentals are being used by companies in industries like construction and for projects that do not justify the acquisition of equipment. This service can be a good option when companies only require certain assets for a limited time. Hi there! Can I help you find the best CMMS solutions?